The current release (version 0.1a) of our Central line for BVE is now available for download. Future releases will also be uploaded here. Set in the evocative period of 2002 the route currently covers the line from Ealing Broadway to Liverpool St through the heart of Central London. Experience the atmosphere of one of our favourite periods in London Underground history shortly after the completion of the 1990s modernisation program. 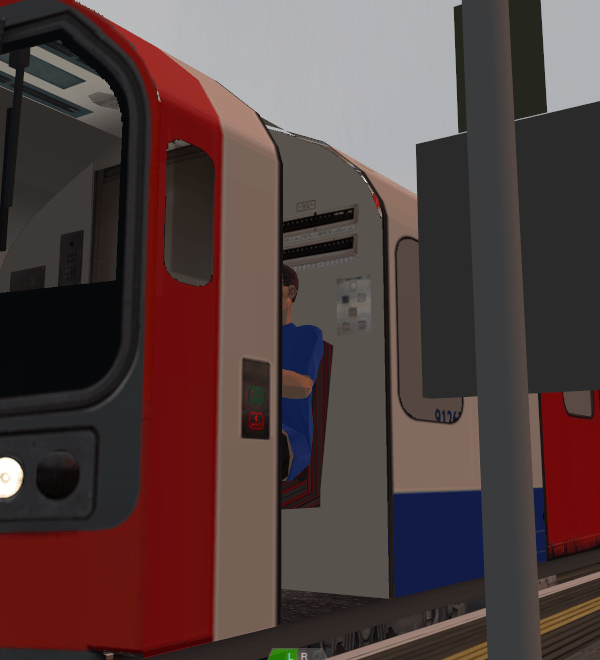 Take the controls of the 1992 stock, the workhorse of the Central line since it’s introduction in the early ’90s. This current version is a demo. A comprehensive upgrade of the line is currently in progress. Keep an eye on this website for further information! Please follow the instructions carefully when installing this. Please note: the screenshots shown are of the current work in progress and not indicative of the released version. These are designed to show you our progress and what will be coming in the next release. Ensure you have the latest version of OpenBVE installed before downloading this. Before driving the train please read the driving guide. This train has been designed to be driven like the real thing, so it is important to familiarise yourselves with how to drive in each mode.